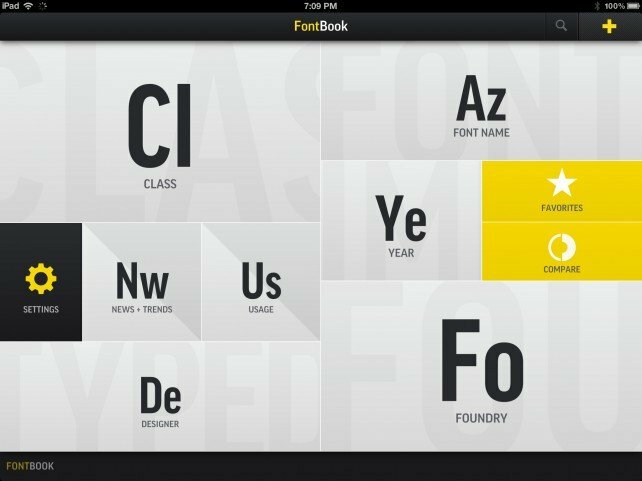 Since 1989, the FontBook™ Editorial Staff has been the definitive authority on documenting and comparing commercial typefaces. 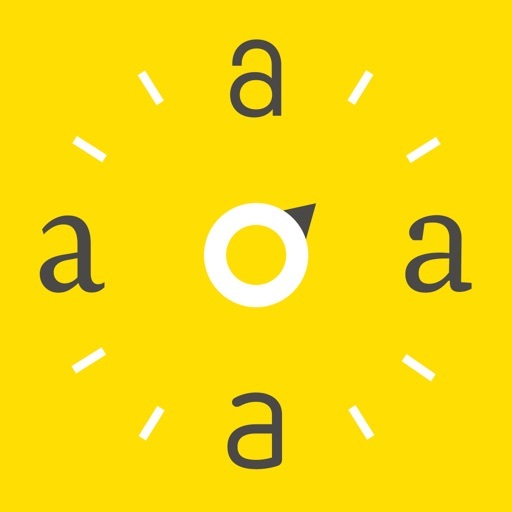 In addition to researching the typographic works of past decades, the editors also keep abreast of new releases, which are now regularly added to the FontBook App in real-time via over-the-air updates, starting in 2011. 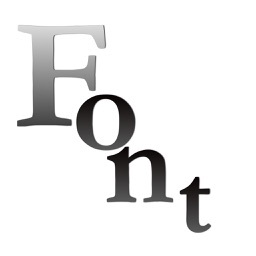 The printed version of the FontBook was published in several editions from 1989 through 2006. As winner of many prestigious awards* from around the world, FontBook App documents the libraries of 150 international type foundries who publish the works of 1805 type designers – covering 46,718 typefaces from 9479 font families (status: August 2016). 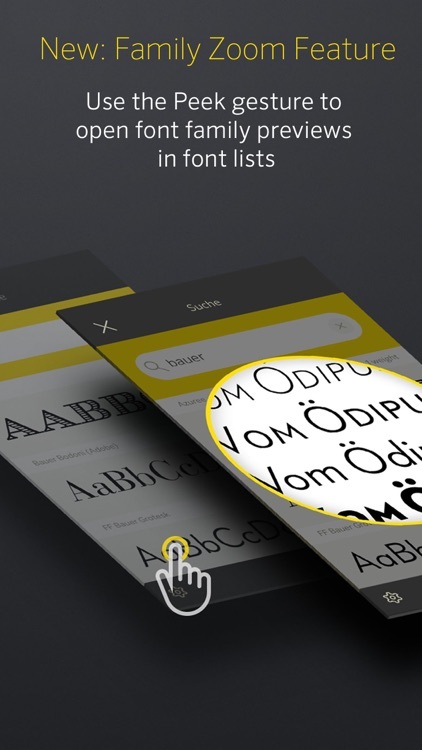 The app presents the extensive content in over 600,000 typeface samples which can be intuitively spread out, searched, layered, moved, scrolled and combined like a collection of maps. While the iPad version is designed as an invitation to browse and play, its iPhone incarnation is equipped with filters, searches and lists, putting more focus on its practical use. 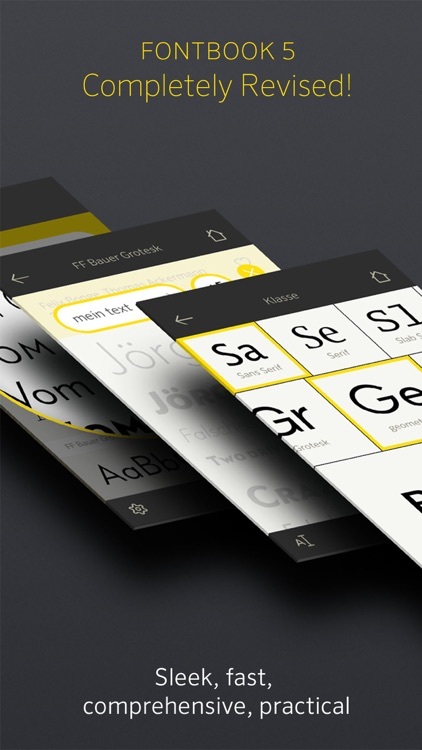 Five gateways invite you to delve into the world of typography visually, i.e. by Class, Foundry, Designer, Year or Name. 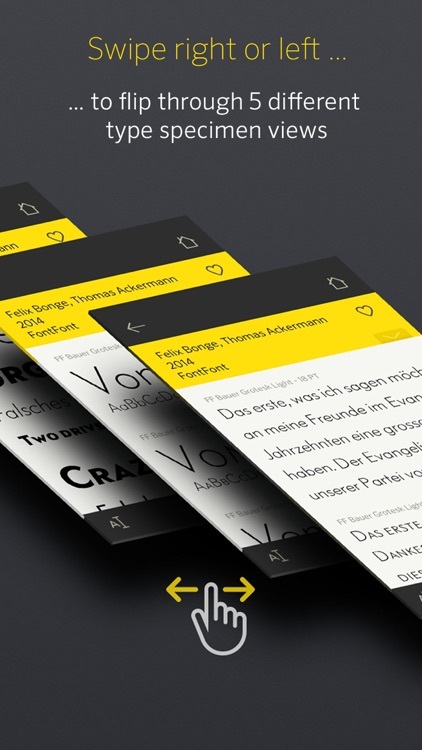 A quick text search takes you directly to the font families, foundries or designers that you’re looking for. 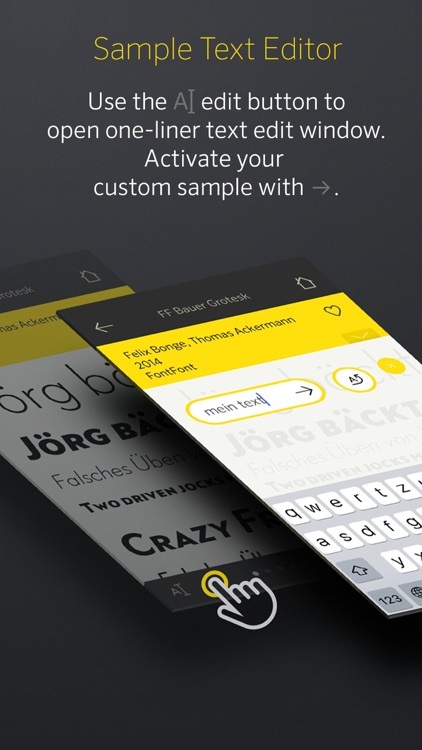 The app also features specially curated Font Lists which help you to search for fonts by practical and stylistic criteria, for example by use-case, genre, stylistic period, similarity or popularity. 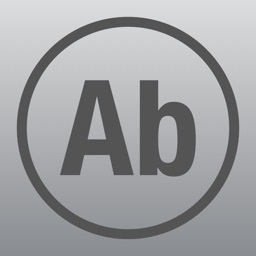 On the iPad version only: Two types of bookmarks serve as helpful tools for compiling lists of favorite fonts and / or comparing your chosen typefaces using customizable sample texts and colored backgrounds. 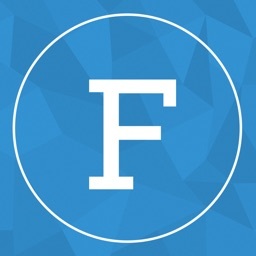 You can also share FontBook samples by posting them to Twitter or Facebook directly from the app, or by mailing them or saving them to your personal photo album. 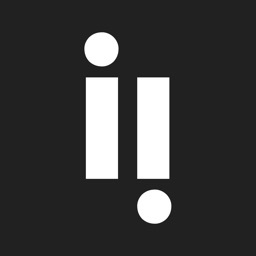 * Apple iTunes Rewind, Top App ›Reference‹ (2011), Communication Arts “Best Interactive of the Year” (2012), TDC award “Communication Design” (2012), Communication Arts “Best Typography of the Year” (2012), Red Dot Award Communication Design Grand Prix (2012). 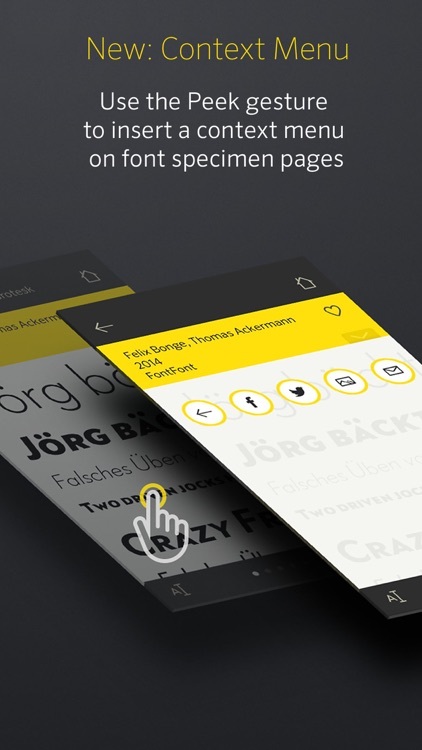 FontBook is a beautifully executed reference guide for all of your typography needs.